Of German origin, Riesling is considered Chardonnay's greatest rival. A classic cool climate variety, it does particularly well in the South Island. About half of the country's plantings are located in Marlborough where it is traditionally cool fermented without malolactic fermentation or oak influence. Like Semillon, Riesling can produce impeccable, long-lived wines with intense aromatic qualities that range in style from bone dry to luscious dessert wines. 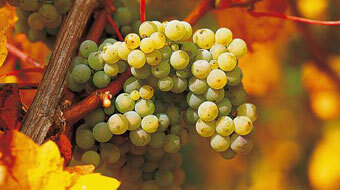 Unlike many other white wines Riesling can be high in fruit with refreshing acidity and low alcohol. Varietal characteristics: Varied, so check for our 'Taste' meter to assist you! Can be very dry (apple, lemon, lime) to very sweet (lychee, honey apricot, nectarine).